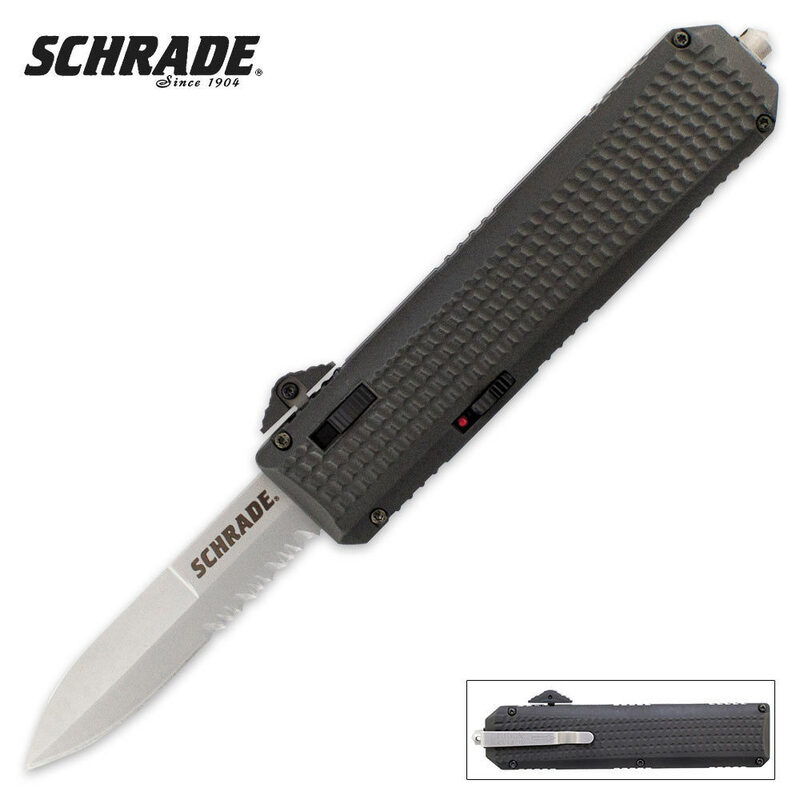 Schrade Out The Front Assisted Open Serrated Pocket Knife | BUDK.com - Knives & Swords At The Lowest Prices! Schrade has taken assisted-open technology to the next level with these super fast out-the-front assisted-opening pocket knives. Simply release the safety mechanism and engage the blade release/finger actuator to deploy the razor-sharp serrated stainless steel blade. Other features include a glass break spike and steel pocket clip. You won't find a better OTF pocket knife at this price!